Although she's still a shortstack, your monster needs a boot that will help her crush those greens, blues, and occasional blacks in style. 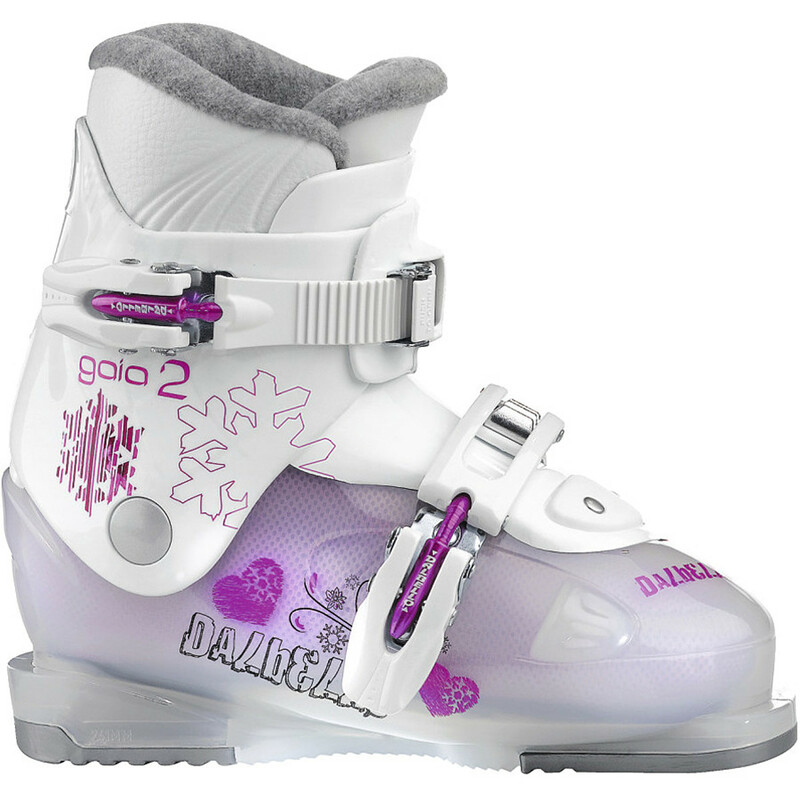 Give her the Dalbello Girls' Gaia 4 Boot, which features easy-on gentle-flexing Overlap Architecture, and let the fun begin. A grown-up four-buckle design gives her enough support to ski hard, and a Super Comfort Jr. liner makes for happy little feet all day long. 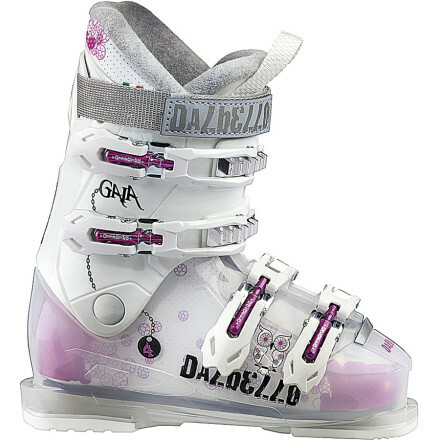 Skiing with the youngsters invariably involves a lot of walking to the car, the bathroom, and the snack counter, so the Gaia has replaceable DuraGrip toe and heel lugs, meaning you don't have to get her a new pair of boots once she's scuffed these to death. The Dalbello Gaia 4 is not available from the stores we monitor. It was last seen January 9, 2018	at Backcountry.com.